Over the past year I’ve slept in 21 different beds. I’ve looked after 18 dogs, 28 cats, 54 chooks (chickens), 2 quails, a lovebird, a cockatiel, a thoroughbred, a Shetland pony, a pony, a miniature horse, 6 fish tanks/ponds, 7 blue tongue lizards, a snake, a guinea pig and 4 goats. That sums up my past 12 months house sitting as a solo female! My continual nomadic lifestyle has been an exciting mix of new homes, pets and adventures – and what a learning curve it’s been! There are certainly some differences between house sitting as a solo female compared to sitting as a couple or family. 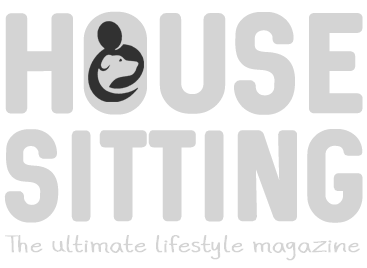 Allen Trottier pointed out some of these differences, common to both females and male solo sitters, in his recent article about solo house sitting. But as a female, I’d like to share my thoughts, especially for solo lady travelers considering house sitting, to reassure those of you who are still unsure how safe it is, how at ease you will feel, and whether it ever gets lonely. Keeping in mind we all have different comfort zones where things affect us, and as a solo female there are certainly some quirks and challenges that may (or may not) affect the house sit. It does take a little courage to accept that first sit when you don’t know what to expect. There’s no-one to back us up. Nobody to help us know if we’ve made the right decision, chosen the right home, selected the right pet mix, or to tell us we really can DO it on our own. Oh, the endless questioning of ourselves. But then it’s seriously crazy how at ease you feel once you start. I’ve had sits where I’ve met the owners, and travel sits where we’ve just chatted via phone or texts, which have turned out to be the best sits of all. Always trust your gut feelings when meeting or chatting with the home owners of a potential sit. If you feel something isn’t right, just don’t do it. Move on to the next application. But, in the majority of cases you will have made the absolute best decision. And, it will be as safe as any guarantee life gives us. For many of us on our own, the first night or two in a home can tend to be a bit eerie, especially in bigger homes. We don’t have anyone else to rely on in the way couples or family groups do. If we hear an odd crash or bang in the middle of the night, there’s no one to prod and say “Check it out!”. But once you get used to the creaks and groans that are individual to each sit and home, and settle in with the pets, you learn to relax very quickly. I must say, with each sit I get better at settling faster. Given that I’m more a cat person (think old maid with a gazillion cats around her and I am the perfect caricature), I feel safer, more quickly, with dogs around. If there are sounds that aren’t privy to the home, they will bark! Well actually that’s not quite true. Some will, but some snore louder and sounder than any male counterpart and won’t hear a thing! Leaving a light on the first night or two to create some soft light can help. I am yet to have a horrid guest room to sleep in, most are simply beautiful, but I also carry a couple of personal items. I place these to create the sleeping arrangements that represent “me” – this makes the space my own. It’s easier to relax and not feel as displaced in the middle of the night. Then it seriously only takes the first night or two to feel like you’ve been there forever. In larger homes I tend to live in the lounge, kitchen and bedroom and close everything else off to feel more secure. This saves cleaning too! Then it’s just a quick vacuum of those closed up rooms just to freshen them up before the owners return. Lastly, it can help to remind ourselves that the owners have lived in their homes for five, ten, twenty years, with no incidents. Surely it would be very unlucky for something to happen simply because we have come along. In my past twelve months, absolutely nothing has happened! Do I have the physical strength? The second part is the physical side of house sitting as a solo female. I train daily so consider myself quite strong, but, I have had two sits where I possibly took on more than I realised, both with the amount of pets, and the size of the homes and yards, plus the upkeep required. As a couple – day to day tasks can be much easier and shared, but on your own, the same tasks can become a lot of work. If you’re a female not used to some hefty outdoor work, consider the sorts of sits you take on. I’ve personally loved the challenge of these sits and got great endorsements from the owners, but as I get a little older, the workload involved may be something that becomes more important to consider before applying for, or accepting a sit. So really look at what is involved in terms of physical work, before you say YES. The real key for managing the workload is organization. The positive? Well, we females, are great at that, right?! I find creating a checklist, (I’m a tick the box person) helps it all work smoothly. Specially if there are certain days where one-off tasks or rare things need to be done. If it’s ticked – then done, forget about it, move on. What makes house sitting so worthwhile? The fun part that IS a side effect of house sitting, is the getting out and about – exploring new areas as a solo female. So far I have only sat in Australia with overseas trips planned early 2019, but photography played a big part in why I originally decided to travel to different areas. I cannot begin to express the adventures I have created for myself that would never have happened if I hadn’t decided to start house sitting. I love being out on trails, climbing mountains, walking waterfalls – long lone tracks. Discovering new areas is important and as a solo female, it’s something we have to realise we SHOULD do. I find you simply need to make yourself get outside and get involved, regardless. Does it get lonely house sitting solo? Not surrounded by an ever changing pet cycle, learning new routines (you really are living someone else’s life), and the exploration of new locations. There is usually no time for lonely. Plus I have found house sitting has created a more talkative me. I have to be. And from that, opportunities come about – with the neighbours, with the township, and new friendships are formed. Opportunities that would not come about if we allow ourselves to become fearful of “what might happen”. It’s SO wonderful to meet new people and mingle wherever you find yourself! And also, embrace the really interesting different pets and lifestyles you are taking over for a period. It certainly keeps you busy – and definitely not lonely. You hear how many sitters have back-to-back sits. Traveling as a couple can provide some overlap room. One stays behind while the other moves on before they meet back-up. For a solo, female or male, this option is not viable, so it definitely takes extra planning to get dates lining up with back-to-backs. But it IS possible if you are with a good site, and really utilise your calendar and your approach to getting sits. I’m now at the point where previous sits have actually organised their time away around the dates I am available. But I’m also knocking too many back that I would LOVE to do again, because I am already booked. When you get to that point you have definitely absorbed yourself into the lifestyle and joy that house sitting can give. Your own blog gives further observation into who you are and the lifestyle you live. It allows the homeowner to get an insight into your character, which can lead to a yes. Plus it keeps you even busier. I’m currently in the process of fully setting mine up. And… as a graphic designer, I’m setting up to work more online so I can sit anywhere in the world, and not be location dependent anymore. So are you sitting there wondering if you are suited, or if it’s harder to get a sit as a solo female? We are capable of small or large house sits. We are organized, patient and strong. Independent and disciplined. We don’t need more adjectives. We know all the qualities we offer. Surround yourself with the joy of different pets, homes, routines. Explore the world we live in! Having mini adventures on a regular basis, is definitely HEAPS better than sitting at home alone, watching TV re-runs and viewing life passing by! 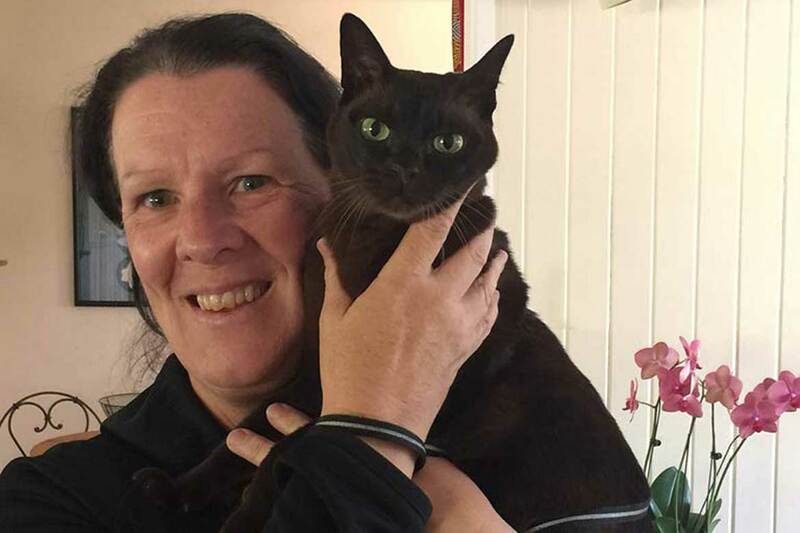 Based in Australia, Ann Parrot is well seasoned in pet and home care. She hopes, as a full-time solo house sitter, to travel and photograph what’s at the end of the many long empty roads of Oz.